Of all the unlikely pioneers of the cinema, Mary Hitchcock might well win a prize in the category, 'strange but true'. Born in Virginia, she married a US Navy commander, Roswell D. Hitchcock, with whom she travelled widely. 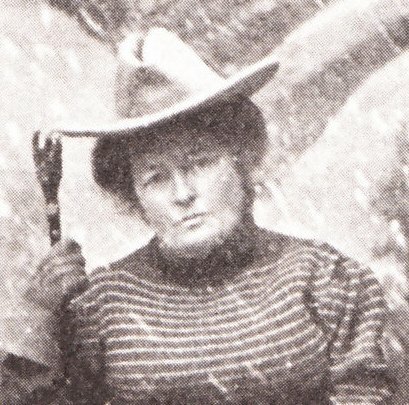 When he died the urge to travel continued, and teaming up with Miss Edith Van Buren, a grand niece of the former US President, these two prosperous women determined to visit Alaska. It was then the summer of 1898, the height of the gold rush, but they, rather than panning for gold, hoped to make their names through showmanship, taking an 'animatoscope' and a bowling alley up north (along with a music box, a parrot, two cages of live pigeons, two Great Danes, stuffed olives, oysters, a zither, a mandolin, an ice-cream freezer and the largest tent ever brought into the Yukon). This unconventional scheme was suggested by a man named Von Millengen who came along as technical manager of the two amusements. When they arrived in the 'Golden North' it soon became apparent that there was little interest in the bowling alley, as it took up too much space in the boom-town of Dawson City. But animatoscopes were in great demand, and the women found that they already had competition in the form of one 'Arizona Charlie', whose film of a train passing the camera had set the entertainment-starved miners wild. But, run on cheap petrol, his machine blew up on his second night. That should have left the field clear for Von Millengen and the women, but unfortunately their animatoscope, films (and redundant bowling alley) were on a cargo ship which was delayed, and when it finally arrived they found their lime-light retort and gas bags were full of holes. However, by the middle of September everything was working, and the show opened to great acclaim. They had brought about a dozen films to Alaska, which included 'the Corbett fight' and films related to the Spanish-American war such as the funeral of the Maine victims. 'Arizona Charlie' (surname Meadows) had none of these war views, and in any case he was now banned by the theatre as a fire hazard, so the triumph of the women was total. But they did not continue long in the animatoscope business, returning to the United States a month later, where Mary gave lectures and published her account of the trip. She soon returned to the Klondike, however, remaining there for five years, during which time she staked over a hundred claims. This adventurous life was strangely contrasted with her New York existence, where she presided at a salon at the Waldorf-Astoria. 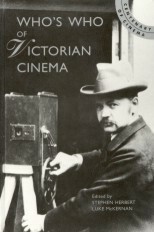 Interestingly, at about the same time that the two women were showing films in Alaska, Robert Bonine was filming the gold rush there for Edison. Some of the films shown in Dawson at the turn of the century were rediscovered in the 1970s, buried in permafrost in good condition.